Getting hold of an email account is easy. Sign up with an ISP and you’ve got one account for starters. Creating an account with Google and other big names will get you more. Buy a decent web hosting package and you’ll probably get enough email addresses to power a large business, all for no extra charge. Getting the right email account is more difficult, as there’s a lot to consider. What are the spam filters like? 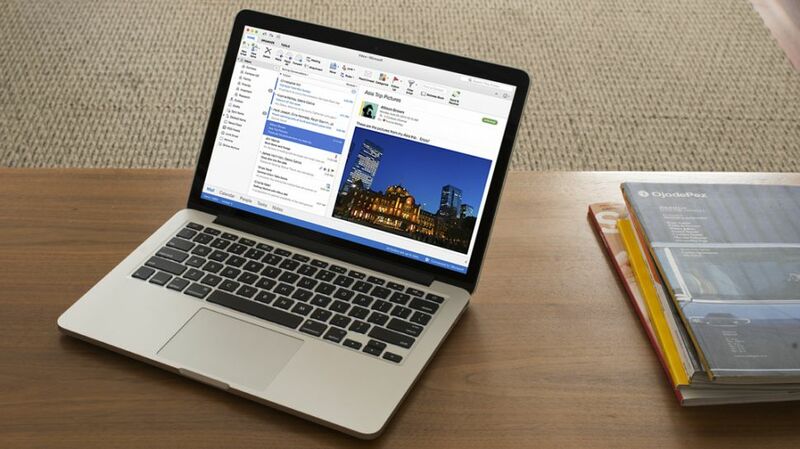 How easy is it to keep your inbox organized? Can you access the account from other email clients? And what about using the service with a custom domain and address of your own ([email protected])? Keep reading and we’ll highlight some of the best email providers around. All have decent free services, perhaps with ads and some limits, but we’ll also talk about their business-friendly commercial products which deliver the power, functionality and enterprise-level extras that demanding users need. Signing up with an email provider will often involve some privacy compromises. Yahoo Mail asks for your name and mobile number, for instance. Gmail and other services might scan your messages to carry out useful actions (such as adding events to calendars), and just about everyone serves you with ads. ProtonMail is a Swiss-based email service which focuses on privacy above all else. You can sign up anonymously, there’s no logging of IP addresses, and all your emails are end-to-end encrypted, which means there’s no way ProtonMail (or anyone else) can read their contents. Also, address verification (which allows you to be sure you are securely communicating with the right person) and full support for PGP email encryption is available. There are some significant limits. The free product has a tiny 500MB storage space, only supports sending 150 messages a day, and is distinctly short in terms of organizational tools (no folders, labels or smart filters). As the end-to-end encryption is specific to ProtonMail, it also ensures that you can’t use the service with other email clients. Still, it seems a little unfair to complain about a service which is no-strings-attached free, and doesn’t even show ads. 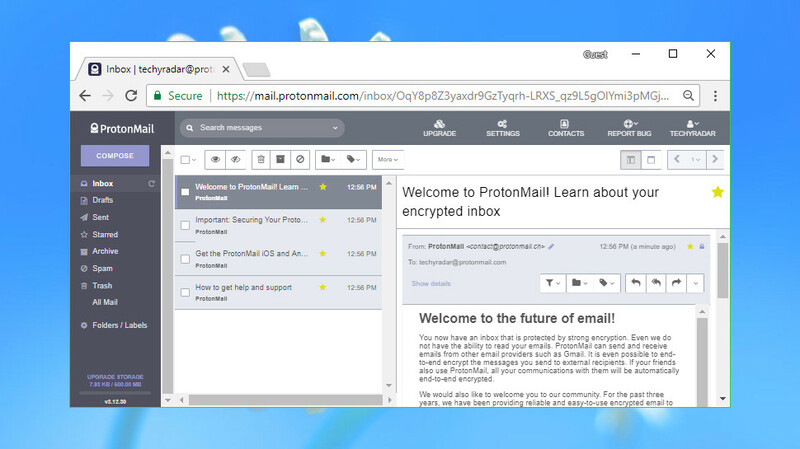 In reality, ProtonMail is a specialist tool which is intended for use alongside services like Gmail – not to replace them – and overall it performs its core tasks very well. If you do need more, ProtonMail’s $5 (you can choose to pay in USD, Euro and CHF) a month (or $48 yearly) Plus account gives you 5GB storage, a 1,000 message-per-day allowance, custom domains ([email protected]) and support for folders, labels, filters as well as some addition features like contact groups. A further Business plan brings more storage, email addresses and a second custom domain, as well as adding a catch-all email address and multi-user support. It’s priced from $8 per month per user (75$ yearly), which is reasonable if you need ProtonMail’s security, although it’s also notably more expensive than the business accounts of the big-name competition. First released back in 2004, Google’s Gmail has become the market leader in free email services with more than a billion users across the globe. 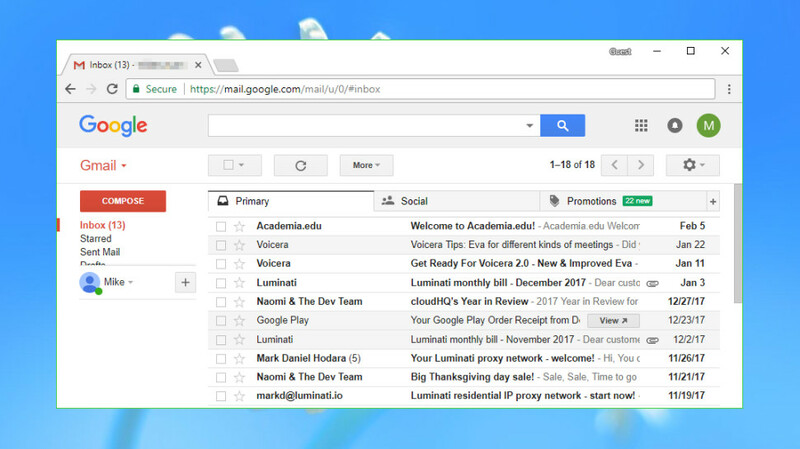 Gmail’s stripped-back web interface is a highlight. Most of the screen is devoted to your inbox, with a minimum of toolbar and other clutter. Messages are neatly organized via conversations for easier viewing, and you can read and reply to emails with ease, even as a first-time user. There’s plenty of power here. Dynamic mail makes Gmail more interactive, with the ability to take action directly from within the email, like filling out a questionnaire or responding to a Google Docs comment. Messages can be automatically filtered into tabbed categories like Primary, Social and Promotions, helping you to focus on the content you need. Leading-edge spam blocking keeps your inbox free of junk, you can manage other accounts from the same interface (Outlook, Yahoo, any other IMAP or POP email), and there’s 15GB storage for your inbox, Drive and photos. You can also access Gmail offline, although you’ll need Google Chrome for that to work. Furthermore, there is a neat snooze feature that allows you to, well, snooze an email for a specified amount of time (it also automatically labels that email as important). Other features are more questionable. Instead of organizing messages into folders, for instance – a simple metaphor which just about every user understands – you must filter them using a custom labelling system. This works, and has some advantages, but isn’t popular with all users. Still, Gmail is an excellent service overall, and a good first choice for your email provider. Google makes a paid business-oriented version of Gmail available in the shape of its G Suite product. This more professional product drops the ads and allows using a custom email address on your domain ([email protected]). Business-oriented migration tools can import mail from Outlook, Exchange, Lotus and more. Storage space doubles to 30GB on the Basic plan, and you get unlimited group email addresses, 99.9% guaranteed uptime and 24/7 support. G Suite is Google’s answer to Microsoft Office, so of course you also get apps for working with documents, spreadsheets and presentations. Shared calendars keep you better organized, there’s video and voice conferencing for online meetings, and again, there’s 24/7 support to keep your system running smoothly. This more Office-like power makes for a more expensive product than the email-only competition, with prices starting at $5 a user for the simplest plan. You’re getting a lot for your money, though, and if you’ll use G Suite’s features then it could be a smart choice. A 14-day free trial provides an easy way to help you find out. 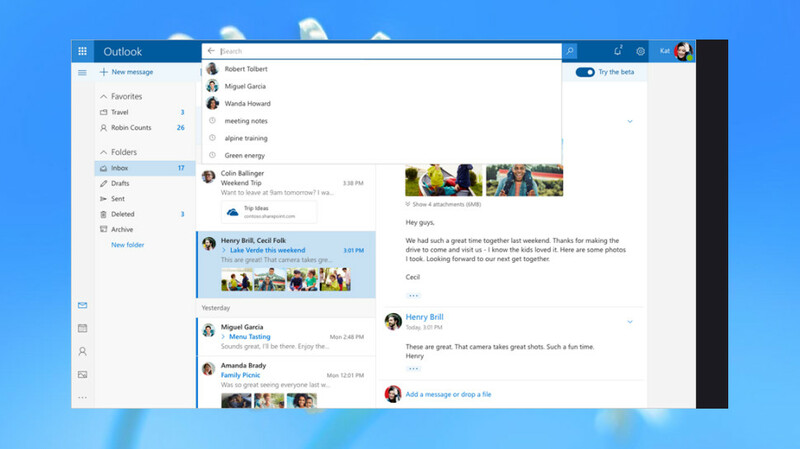 Outlook’s web interface follows the same familiar style as its desktop incarnation, and most other email clients: folders and organizational tools on the left, the contents of the current folder in the center, and a simple preview pane on the right (with adverts in the case of the free account). A toolbar gives you speedy access to common features, and right-clicking folders or messages shows you just about everything else. If you’ve ever used another email client, you’ll figure out the key details in moments. Despite the apparent simplicity, there’s a lot going on under the hood. The service automatically detects important emails and places them in a Focused Inbox, keeping any distractions out of sight. Events including flights and dinner reservations can automatically be added to your calendar. It’s easy to share that calendar with other Outlook.com or Office 365 users, or you can save your events to a Family calendar that everyone can access. Excellent attachment support includes the ability to directly share OneDrive files as copies or links. You can also attach files directly from your Google Drive, Dropbox and Box accounts, and a chunky 15GB mailbox allows storing plenty of files from other people. This all worked just fine for us, but if you’re unhappy with the service defaults, there’s a chance they can be tweaked via Outlook.com’s Settings dialog. This doesn’t have quite as many options as Gmail, but they’re well organized and give you plenty of control over layout, attachment rules, message handling and more. If that’s still not enough, Microsoft offers a bunch of app-based integrations to take the service further. You get built-in Skype support via the beta, and apps give you easier access to Evernote, PayPal, GIPHY, Yelp, Uber and more. Upgrading to Office 365 gets you an ad-free inbox, 50GB mail storage and a vast 1TB of OneDrive storage. Extras include offline working, professional message formatting tools, phone or chat-based support, file recovery from malicious attacks like ransomware and more. Oh, and the latest versions of Word, Excel and PowerPoint. All this can be yours for the equivalent of $7 a month on the single user Office 365 Personal plan or you can pay 70$ for a year. 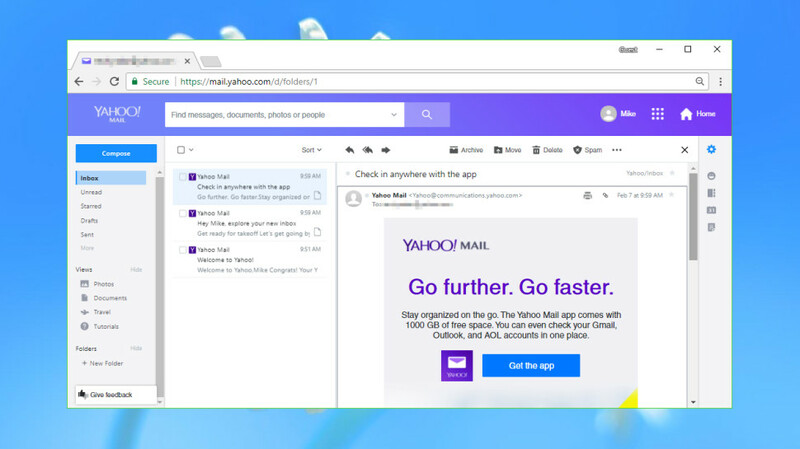 Yahoo Mail doesn’t make the headlines so much, these days, but its latest version is a polished and professional service which stands up well against the top competition. 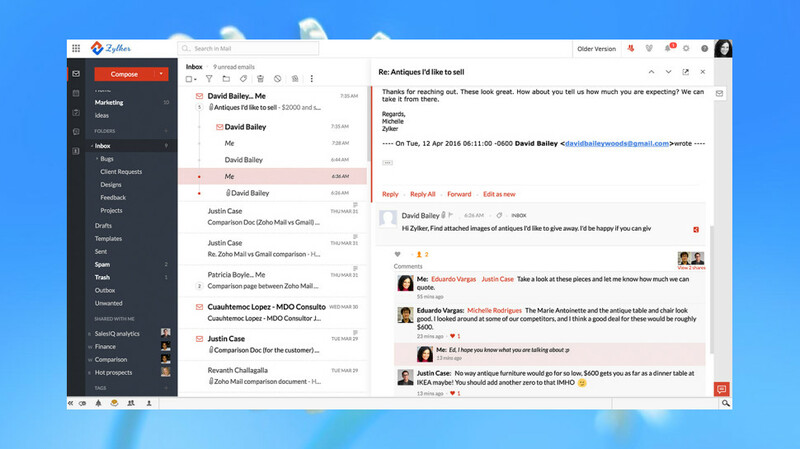 The well-designed interface resembles Gmail, at least initially, with a large view of your inbox, one-click filters for common messages and content (Photos, Documents, Travel), and easy browsing of all the emails in a conversation. But you can also organize mails into custom folders, and the layout can be tweaked to display a message preview in a couple of clicks. Mobile users have some additional features like the option to unsubscribe to newsletters and such, without ever leaving the Yahoo Mail inbox. A powerful underlying engine can integrate with Facebook, supports sending SMS and text messages, is accessible via web, POP and (in some situations) IMAP, and can forward email to another address. Valuable extras include disposable email addresses to protect your privacy, and a mammoth 1TB of mailbox storage means you can keep just about everything you receive, for a very long time. Demanding users might find issues, over time. Mail organization can’t quite match the flexibility of Gmail’s labelling scheme, for instance, and there aren’t nearly as many low-level tweaks, settings and options as you’ll often see elsewhere. But overall, Yahoo Mail is an appealing service which needs to be on your email shortlist. As with other providers, Yahoo offers a Business Mail plan with more features. The highlight is an option to use the service with a custom domain ([email protected]), although there are other advantages, too. The service can import contacts from Facebook, Gmail, Outlook and more. You can view all your mailboxes on the same screen, and there are all the usual business-friendly productivity tools (multiple calendars, document handling, analytics and more). Prices start from $3.19 per mailbox per month, billed annually, and they drop as you add mailboxes – $1.59 for 5, $1.19 for 10, and for 20+ you’ll need to contact them. Additionally, another pricing plan called Yahoo Mail Pro is available at $3.49 per month. This gives you ad-free inbox, priority customer support and additional features. There’s even a free domain name included, and not just the initial registration: Yahoo will also renew it for as long as your subscription is active. Zoho Workplace is a business-oriented email service which throws in an online office suite, document management, and a host of collaboration tools and other extras. Zoho’s free plan supports up to 25 users, although there’s an extra 25 available if you can refer others to the service (update: Zoho is currently remodeling the referral program so this isn’t available at the moment), each with 5GB of mailbox storage, and can be used with one domain of your own. These are features you’ll normally only find in commercial products, and when you factor in the spreadsheet, word processor, presentation and other tools, it looks like a real bargain. The email service is easy-to-use, and provides a decent set of features to help organize your emails: folders, tags, filters, smart searches, and more. The free plan is still a little basic. It gives you web access only, for instance, and there’s no support for email forwarding. Fortunately, the Zoho Standard plan fixes that. A mere $3 per user (paid annually) gets you IMAP and POP access, email forwarding, active sync, multiple domain hosting, domain aliases, 30GB storage, a 30MB attachment limit (up from 25MB with the free plan) and some major improvements elsewhere (the ability to send cloud files to non-Zoho users, for instance). You also have Lite plan which is a cheaper Standard plan ($1 per user) with less features, and a Professional ($6 per user) plan which adds more features. A number of these features are available elsewhere for free, of course, but businesses or anyone who will use the custom domain support or Office tools will find a lot to like here. Well worth a closer look.